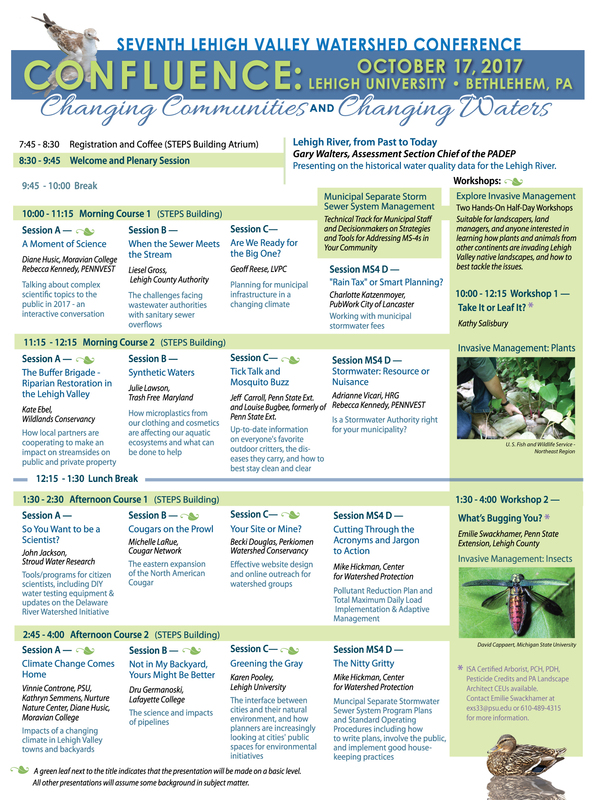 This year’s conference featured two half-day workshops on invasive species (both plants and insects). There was a full-day of continuing education credits available for the professional landscaping community, and a MS-4 track for municipal staff and consultants charged with implementing stormwater regulations. The conference’s keynote speaker was Gary Walters, Assessment Section Chief of the PADEP, who presented on the historical water quality data for the Lehigh River. Are North American Cougars headed to the Lehigh Valley?